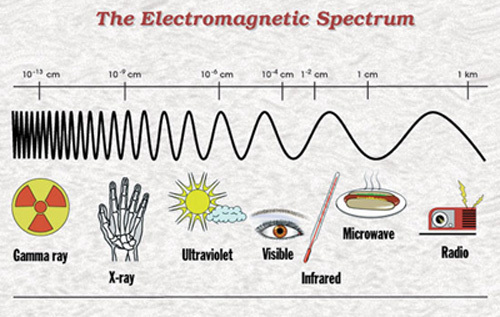 Ever wonder about the sea of electromagnetic radiation we find ourselves moving through? There’s all kinds of EMR: from cell phones, carrier waves, radio waves, TV waves, portable phones, WiFi, Ethernet, radar waves, microwave ovens, remote control devices, garage door openers, electronic toys, power lines, base stations, intercoms, computers, monitors, electrical appliances, X -rays, medical devices and much much more. Though I haven’t read much lately in the popular press about the effects of EMR on humans, there’s still a ton of controversy on the subject. Back in the 1970s there were plenty of urban myths about people getting fried as they hang glided past radar installations near U.S. Army bases on the East Coast; later came the scares relating to the u ptick in cancer in people living near high tension electrical wires; and, until lately, there were fears of brain cancer brought about by using cell phones. Some people cited studies – real and or exaggerated – that postulated that exposure to electromagnetic fields and radio frequencies caused DNA damage to brain cells of rats, resulting in loss of short and long-term memory and slower learning. Such damage in humans has been linked to cancer, memory loss and even sterility. Have some of these fears died off as we’ve gotten more used to – and dependent on – wireless technology? An editorial in the February 2007 edition of The Perfect Vision —an audio/videophile online magazine for aficionados of high-end home entertainment equipment — about the perils of EMR got me thinking about this again. As a science and technology enthusiast, I believe in the potential of keeping Spaceship Earth on a safe course and letting us live longer and better than any previous generation. But I harbor doubts about the unseen dangers of technological progress — in particular, the continuing proliferation of wireless devices. Many people believe there’s a correlation between cell phone use and brain cancer, despite the lack of supporting research. U.S. studies have found no link, and those done in Scandinavia, where cell phones have been in use the longest, are at best inconclusive. A massive study of the Danish Cancer Registry found “no bad news about the safety of cell phones and . 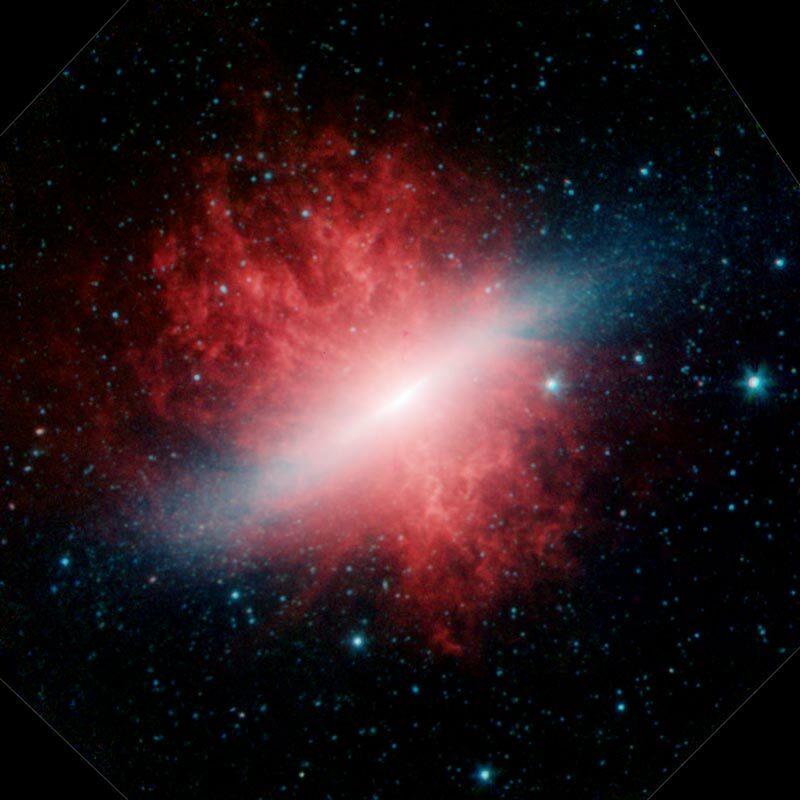 . . radio frequency energy,” according to a recent AP report. Malevolent potential remains. As wireless technology expands, so do the intensity and duration of our daily bath in electromagnetic and radio-frequency radiation for which Mother Nature could not prepare us … To illustrate by exaggeration, life in our ever-intensifying electromagnetic environment could come to resemble living in an MRI machine. Pharmaceutical companies have to run an extremely rigorous and very expensive gauntlet to win Food and Drug Administration approval for new drugs. Yet there’s no equivalent testing by the Federal Communications Commission to establish the safety of wireless devices, other than in the general operational sense. There’s no double-blind process to establish the long-term effects of electronic devices. Perhaps there ought to be, because among all the laws of nature, the Law of Unintended Consequences will always reign supreme. Studies at rooftop locations have indicated that high-powered paging antennas may increase the potential for exposure to workers or others with access to such sites, e.g., maintenance personnel … This could be a concern especially when multiple transmitters are present. In such cases, restriction of access or other corrective actions may be necessary. Employees whose duties involve work in the proximity of transmitter antennas will be provided with a radiation monitor and shall receive training on RF radiation exposure and the use of the monitor. RF radiation monitors shall be utilized during the course of the following activities: 1. Communications Shop personnel working at any radio transmitter site. 2. Employees working on top of any water tank or building with transmitter antennas mounted on it. 3. Employees who are required to work in the proximity of any antenna(s) or array believed to transmit RF energy. Business is healthy and growing at Albany, New York-based Less EMF, Inc, which sells anti-radiation items like Skin-Blok (adhesive microwave shielding), a shielded cell phone holster, a low EMF (electro magnetic field) desktop telephone, and a variety of shielded fabrics, to name a few. “More people are becoming aware,” said Emil DeToffol, CEO of the eleven-year-old online and retail businesses. “More people are becoming concerned. More people are becoming ill.” Indeed, to judge by the thousands of posts to the Electrical Sensitivity Group at Yahoo Health, there’s a veritable electronic plague underway. Electromagnetic Frequencies: Blog about electromagnetic frequencies, uses, dangers, and how to stay healthy. I wonder if all this radiation has been the cause of the increase of kids and adults diagnosed with ADD and ADHD? Or of the increase of people afflicted with short attention spans? Maybe I should investigate this ……………………………..
“Electromagnetic pollution may be the most significant form of pollution human activity has produced in this century, all the more dangerous because it is invisible and insensible. — Andrew Weil, M.D., author of “Healthy Aging: A Lifelong Guide to Your Well-Being,” “Spontaneous Healing,” “Eight Weeks to Optimum Health” and a score of books and articles.